Because you deserve to hear those two little words. Experience the difference of Nelson Coleman. You deserve jewelry that holds special meaning. We carry a large selection of styles and brands to accommodate the interests, needs, and budgets for any customer. New or old, classic or trendy—there’s something for everyone at Nelson Coleman. Whether it’s a repair, an appraisal, something completely new, or a simple free cleaning — Nelson Coleman is here for you. 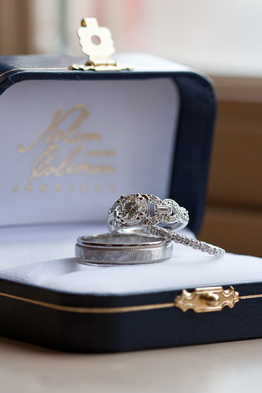 We offer a number of services to keep your jewelry in pristine condition, extending its lifespan and value. We also specialize in creating new treasures for you to enjoy for the decades ahead. 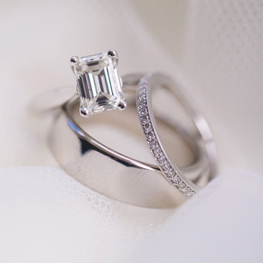 Work with our team of gemologists, designers, and expert jewelers to create the one-of-a-kind piece of your dreams. Protect your jewelry against loss, theft, or damage with up-to-date insurance appraisals from local jewelry appraisers. Whether it’s a broken chain or a garbage disposal disaster, our specialists will make your jewelry and watches look good as new. Since 1856, we have provided cash for gold, silver, antique and estate jewelry, designer jewelry, diamonds, watches, and coins & bullion. Your story starts here. Come in and experience the Nelson Coleman difference for yourself.